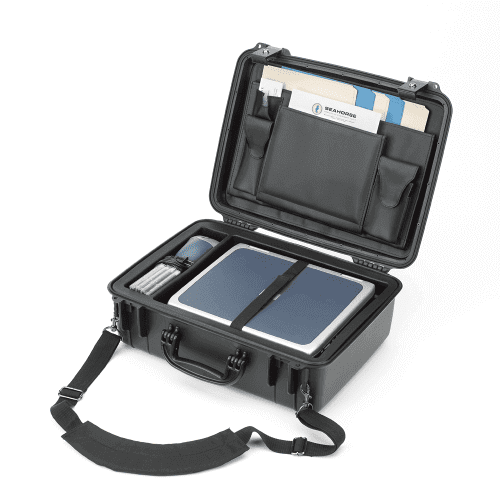 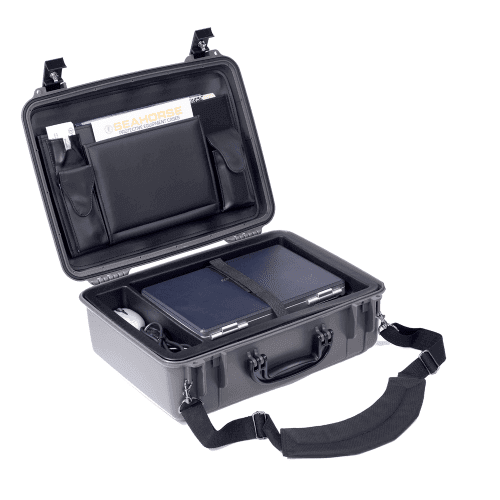 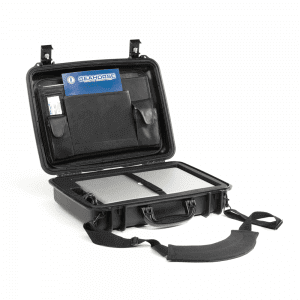 Holds laptops up to 11 5/8″ x 14 1/8″ x 2″ (with a 16.1″ screen). Laptops rest securely on a fitted, shock absorbing bottom, with room underneath for AC cords, earphones, USB drives, CDs, etc. 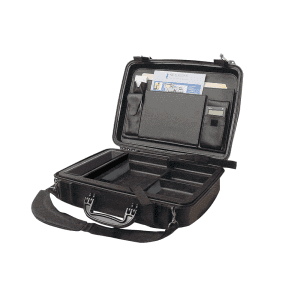 Lid organizer allows space for file folders, tablet, instruction books, calculators, pens, pencils, etc.